I had been using Drupal for over 7 years. Unfortunately after recent upgrade to version 7.0 it completely crashed. I was not able reinstall or revert changes (except restore from backup). Every attempt to upgrade Drupal ended with red html page with tons of errors. My wife has been using Joomla for several years, so I decided to move my homepage as well. I spend about two weeks with moving all the articles to Joomla including comments, guestbook, pictures etc. I hope it will worth it and site will work. If you find any bug, please let me know. Thank you! I feel very sad. When I put HamQTH.com online, I didn't think that somebody creates abuse profile for other hamradio operator. Nick, UY0ZG noticed me that his profile is a fake. Disgusting fake profile with nasty photo and a lot of craps. 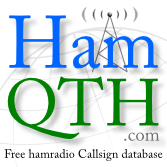 New version of HamQTH.com callbook online! Windows and Mac have plenty of ham radio applications to be used under their operating systems, but what about Linux users? The following is an interview with Petr, OK2CQR, the developer of CQRLog, the logging program for Linux users. 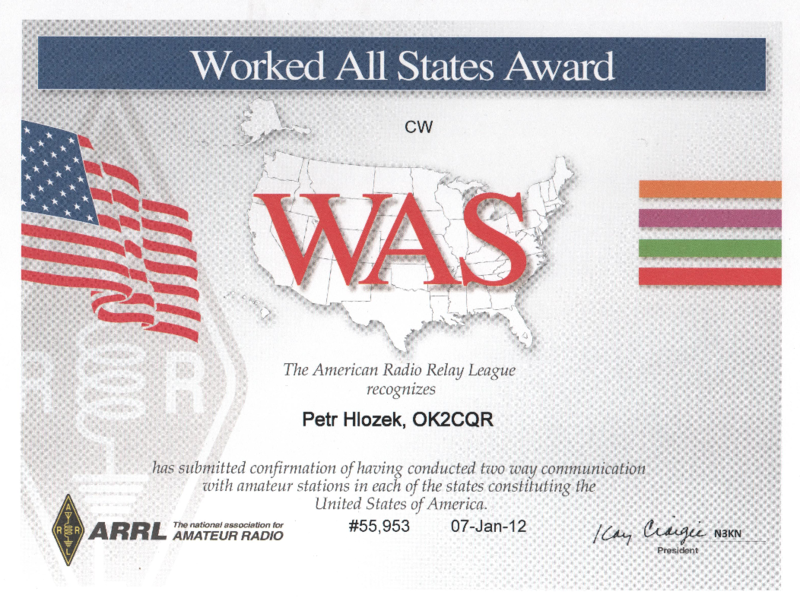 I finally finished my LoTW WAS! I still didn't QSO my last state - Wyoming. Today was lucky day for me, because I made QSO with Dwayne, WY7FD from WY. 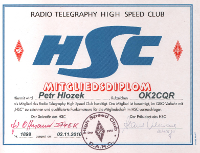 QSO is already confirmed and I also send the application. I'm very happy. It took me quite long time to complete my WAS award. Today I celebrated my 30th birthday. My wife, Misa, baked me very nice cake. It looked like front panel of my transceiver TS-930 SAT. I got two very nice books one is about psychology of men in battle – Acts of War. The behavior of Men in Battle from Richard Holmes, and the second is Flashback from Dan Simmons. I'm looking forward to read it. But I got another gift. I was really surprised. HamQTH.com started 6 moths ago. Information about new free ham radio call book was published on 29 of June 2011. When it started we had a few problems with old records for many US stations. I did a mistake in script that imported data from FCC database. Fortunately, I fixed the problem soon. 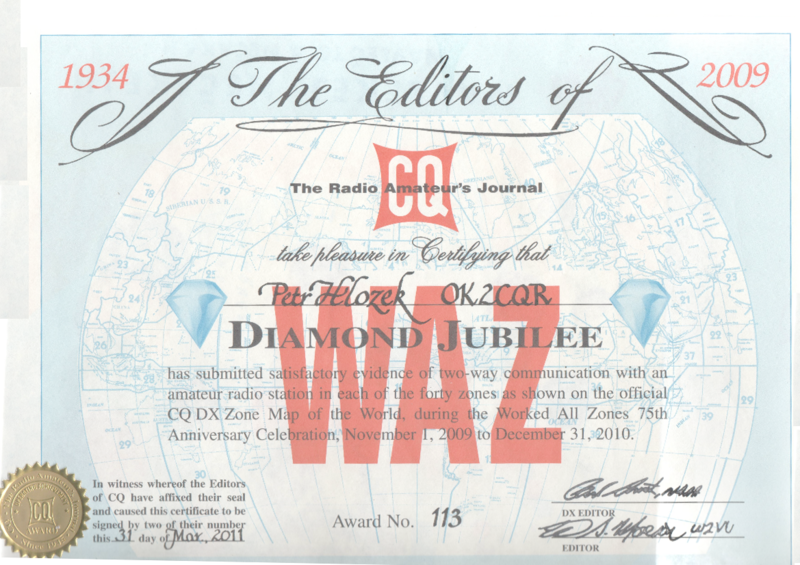 2012 is the 75th anniversary of the ARRL’s DXCC Award--the world’s preeminent DXing award continues to be DXCC, so reaching the “Diamond milestone” is an event that we all want to celebrate. Going back to the roots of the award, and specifically reading the 1937 DXCC List (January, 1937 QST pages 52-3), we can learn what countries were counted at the onset led us to create the Diamond DXCC Challenge.